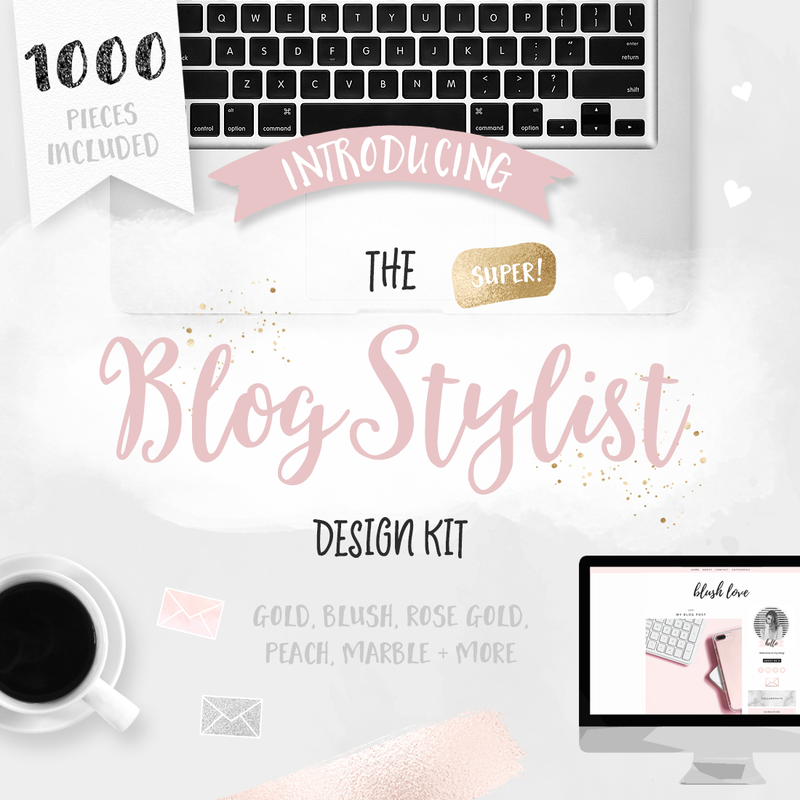 The Blog Stylist Design Kit is a blogging kit with over 1000 graphics to add creativity to your blog’s branding, photos and design. Get creative and add personality to your blog with a huge selection of graphics in the most trend-driven colors, textures and metallic effects. 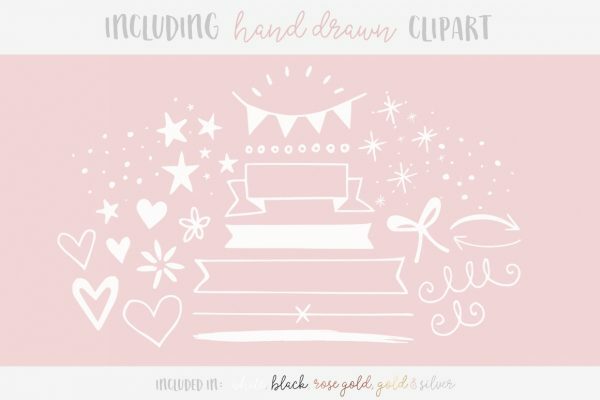 This kit includes over 1000 ready-to-use images in blush, rose gold, silver, gold, black, rose, grey and peach, all designed to mix and match! 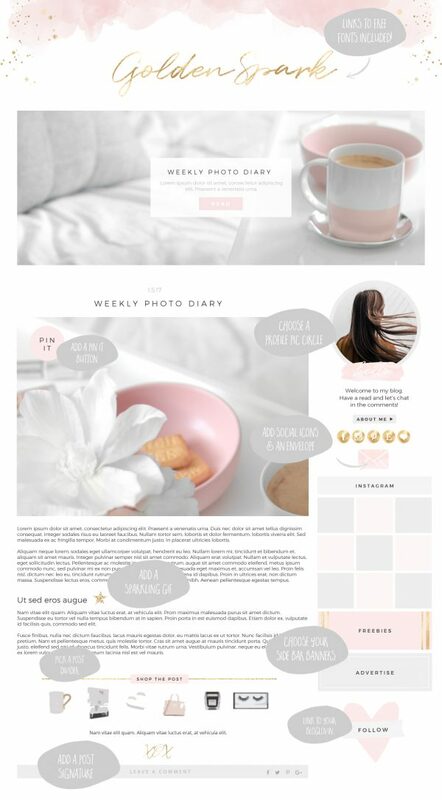 Turn a plain blog template/theme into something wonderful! Style your blog’s side bar, gain followers with cute buttons and generate more affiliate income with banners above your product widgets. Dress up your profile pic with a circular border and add a little envelope linked to your contact page. 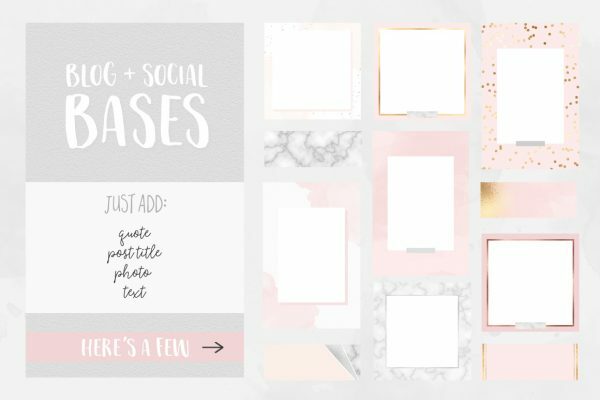 Include creative graphics in your posts and make your mailing list emails stand out and sparkle! Don’t use Photoshop? No worries! Load your new graphics into Picmonkey, layer them up, crop and save! There are graphics with text already done for you, as well as blank graphics you can add your own text to. The textures are included, in case you want to make new graphics to go with your new style. This is a graphics kit – all items are JPG and PNG image files, ready to go and easy to use. There are no PSD or AI files included. There is also no stock photography included. You must not re-sell or re-distribute any of the graphics in this pack. Please see the License page for more information.